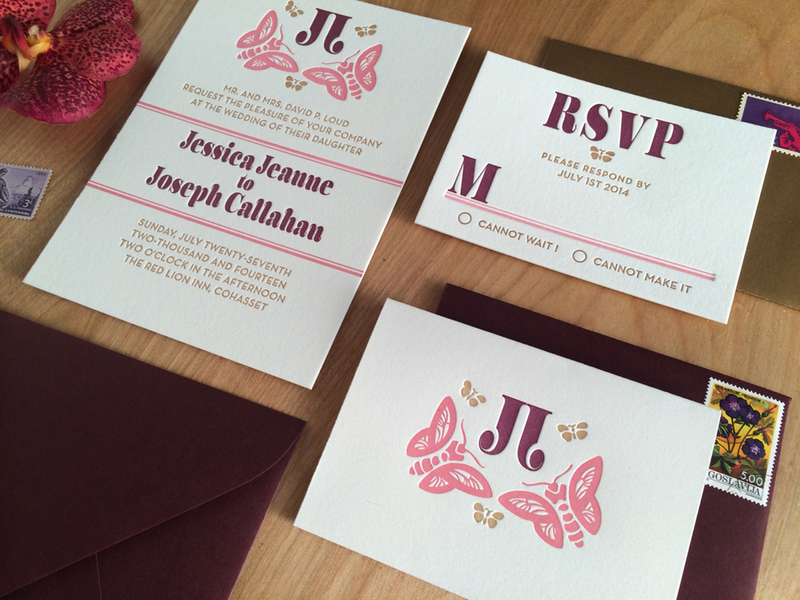 Jess & Joe wanted their invite to embody the essence of summer, so we created this bright and playful butterfly design, and used a romantic color palette to add richness and depth. This is a three-color, three piece, wedding invitation suite, including a custom monogrammed notecard. It is letterpress printed on 100% cotton paper in a natural white, heavyweight stock. The envelopes are plum and metallic gold.